More fresh vegetable juice recipes to delight your taste buds and your whole body! Here are more fresh juice recipes for you to enjoy. If you are asking the question, “Is juicing good for you?” you will see that, yes, it is very good. 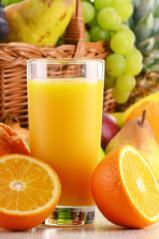 Many of the health benefits are included with these fresh juice recipes. These first three juice recipes are from Jay Kordich, “The Father of Juicing.” Jay has been the spokesperson for “drinking your veggies” for over 60 years. At the age of 88, he's coming out of retirement to spread the work and discuss tips and tricks for eating healthy and looking your best. Here are three of his favorite fresh vegetable juice recipes. Place beet, greens and apples into the juicer and juice. Yields 16 ounces. Place carrots, spinach, parsley and celery into the juicer and juice. Yields 16 ounces. Place the grapefruit and pineapple into the juicer and juice. Enjoy! Yields 16 ounces. 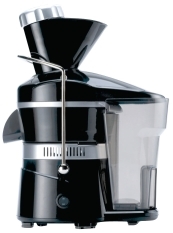 Interested in Jay's Juicer? Learn more about it at What is the Best Juicer page. Rinse all ingredients very well and dry with a kitchen towel. Chop all of the ingredients to fit through the chute of your juicer. Yields 1 quart. Juice and enjoy! Juice all ingredients except for the spirulina. Mix in the spirulina by hand. Pineapple is such a luscious, juicy base for healthy drinks. With its divine sweetness you can mix in just about any dark greens and still have a palate-pleasing beverage — even to those new to green juices. Juice all of the ingredients. Serve and enjoy! I am always trying to eat more kale. Ginger is one of my favorite flavors and makes my belly feel good. Summers in New York get so hot and I always crave something refreshing, but I don't want the sugar of typical fruity drinks. I typically use organic produce so that the lemons, apples, and cucumbers are not waxy. Wash produce very well and core the apples. Chop remaining produce into sizes that will fit into your juicer. Juice and enjoy! Try juicing wheatgrass for super-powered energy!